The highly-rated Spa Centre at the Maritim Antonine Hotel is part of what draws so many people to Mellieha in Malta every single year. From the unique freshwater Jacuzzi to the modern gymnasium equipment, there is something for everyone to enjoy. Feel more relaxed than ever before when unwinding with friends and family in the welcoming steam rooms and have a blast in one of the three different swimming pools available to guests at no extra charge. This is just a taster of what’s on offer within the premier Spa Centre open to all guests of the Maritim Antonine Hotel. For many guests, shedding off the stress and worries of everyday life is their main priority when visiting the Spa Centre. It’s all too easy to lay back and appreciate the here and now when you have a drink in hand and are feeling as comfortable as ever. 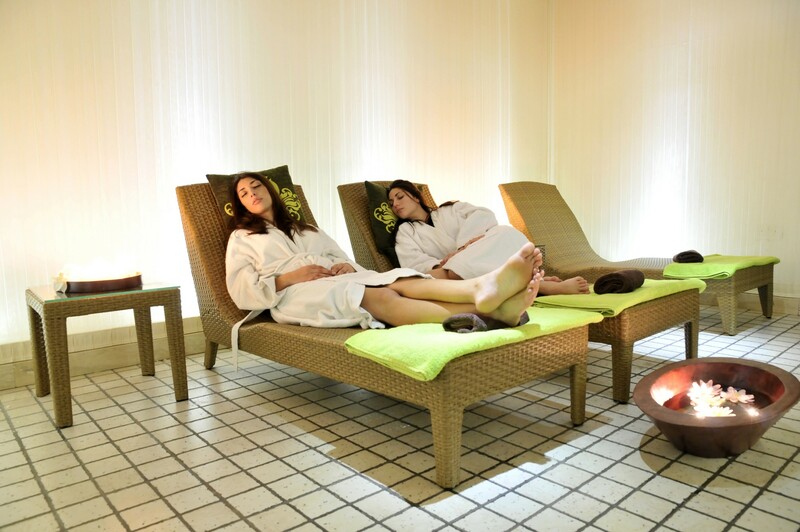 Guests at the Maritim Antonine Hotel can enjoy the Spa Centre in their own time as the spa itself is open all throughout the day from 10am to 7pm; feel free to start the day rejuvenated, or wind down after a taxing day of fun in Mellieha. With multiple saunas and steam rooms available, guests can sweat off all their stress and then finish off with a visit to the Ice Grotto to cool off. The homely lounge areas are always filled with other interesting visitors to meet from the hotel, so this is a great way to make friends to share your holiday experiences with. Fancy something a bit more specialist? Book yourself in for a private beauty treatment courtesy of the expert beauticians at the Spa Centre. Enjoying yourself relaxing at the Spa Centre is a great way to spend some of your time on holiday so be sure to take advantage of its great value as part of your booking. 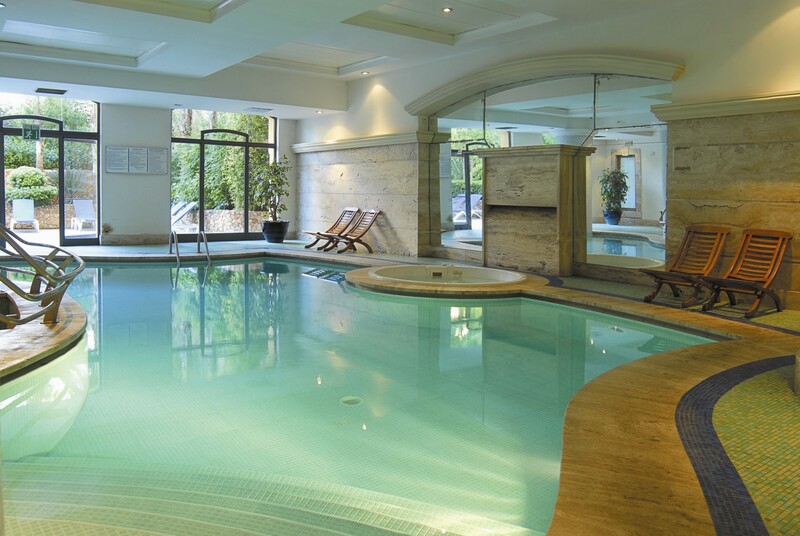 As mentioned, the Maritim Antonine Hotel Spa Centre features three fully sized pools for guests to soak and swim in. Whether you are full of energy and want to swim for an hour, or prefer to sit by the poolside and relax, there’s something for everyone. The Spa Centre first offers a large outside pool which allows anyone and everyone to get outside and take advantage of the hot Malta weather during the summer months. Next, the indoor pool is filled with heated freshwater to give guests a more natural swimming alternative to taking a dip by the coast. 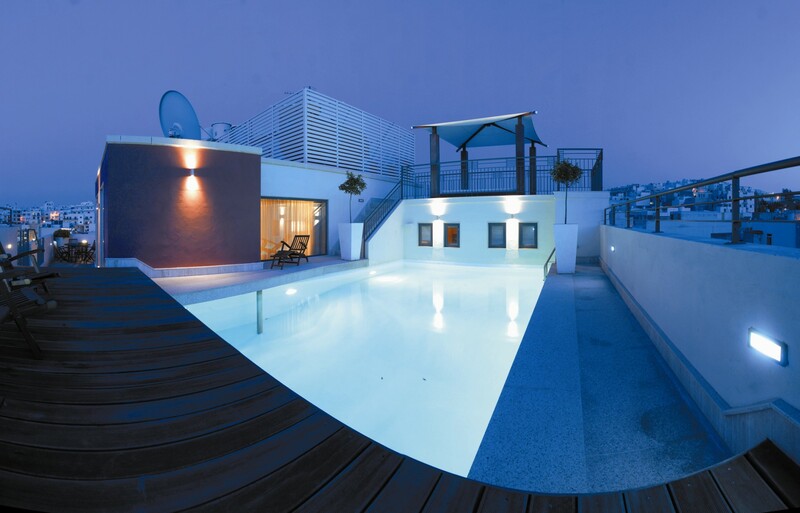 Finally, the rooftop sun terrace pool, a favourite among holiday-goers, gives visitors the chance to really appreciate the Mellieha scenery while afloat in the sun-kissed waters. It’s not all about swimming pools at the Spa Centre however; you should also spend some of your time sampling the many baths and Jacuzzis available. Get the whole group of family and friends into one pleasant Jacuzzi tub and have a drink and a chat. Some guests are interested in working up a good sweat on holiday alongside rest and relaxation. If this sounds like you then have no fear as the Spa Centre also encompasses a well-equipped and modern gymnasium. There are also a range of professionally taught classes with everything from Yoga to Pilates to keep you occupied. With the Maritim Antonine Hotel’s Spa Centre you don’t have to worry about missing an important workout, even if you are on holiday. All the essential facilities you would expect to find in a leading gym back home are available for guests to use at no extra cost. Such facilities include free secure lockers for keeping belongings safe and baths and showers to freshen up with after your fitness session. The Maritim Antonine Hotel’s Spa Centre is terrific value no matter whether your there to relax, sweat, or a mix of both.